When evil aliens steal the world’s toys, who do you call? This lot! 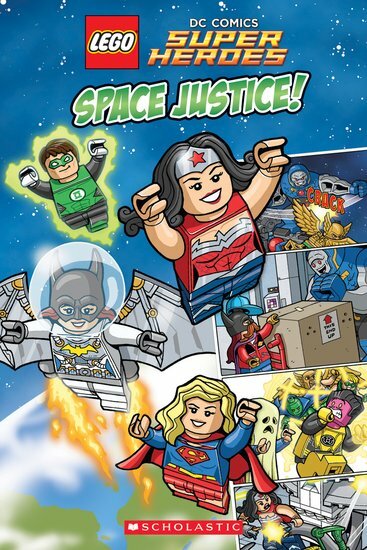 Welcome to an epic LEGO® DC Comics face-off. The planet’s greatest superheroes vs aliens from outer space. Those naughty aliens want to invade Earth. Even worse, they want to steal your toys! Can your favourite DC heroes save playtime? The fun and games start here! Cool battles, simple words and colour artwork. Great for your LEGO® library!